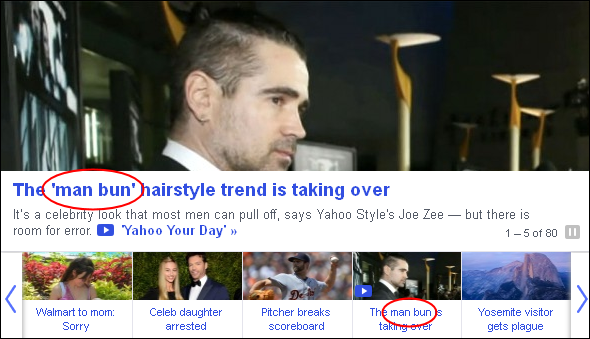 Can anyone explain to me why Yahoo! Style writers don’t know how to form the possessive of a common noun? Why would anyone think models’s could possibly be correct? Maybe the writer didn’t know if she was writing about one model (and the possessive model’s) or more than one (and the possessive models’). So she covered both possibilities with models’s. But how do you explain her ignorance of using single quotation marks within a quote? Maybe she played hooky the day that was taught in seventh grade. Was it all the Christmas excitement? In all the excitement surrounding Christmas, the folks at yahoo.com forgot to consult each other about the Elf on the Shelf phenomenon. Does it require quotation marks, as if it weren’t the real name of the mischievous doll? Couldn’t those folks talk to each other and figure out how this Internet giant would write about the subject? Nah. That would require that they care about the quality of writing on their site. Quotation marks can be used to indicate direct speech, a title, or irony. So what’s their purpose in this headline? I think it’s to indicate that the editor has no idea when to use punctuation. Another interpretation is that the writer really has no idea when to use those pesky little marks. Really? Is it so hard to make a decision like that and communicate it to others? Apparently, at Yahoo! it is. 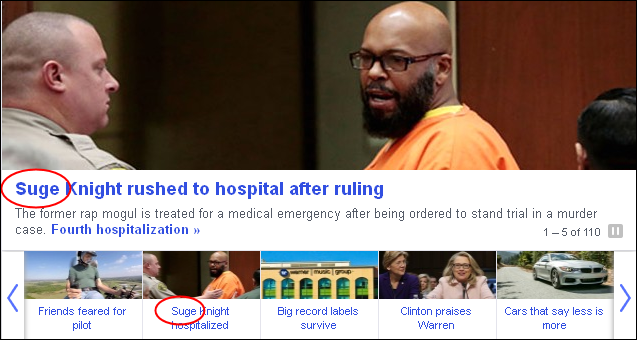 Suge? 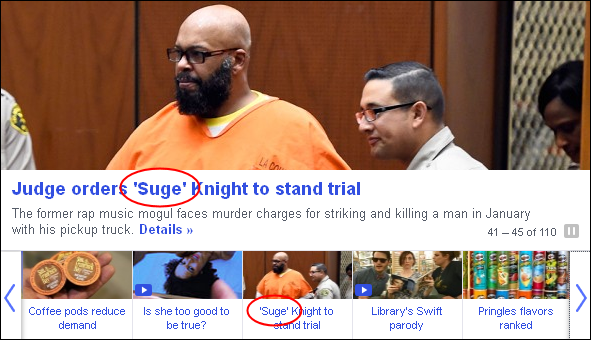 ‘Suge’? Who knows, who cares? Which is correct? Does it matter? Just pick one and go with it. Seems impossible, no? What’s more likely is that the characters Bill and Ted (without the quotation marks) are reuniting. With quotation marks, “Bill & Ted” is a shortened movie title. The makers of Mountain Dew are coming out with a new beverage, and according to Yahoo! Finance it’s not called “DewShine.” I guess that’s its code name or a nickname, because why else would you put quotation marks around the name? It’s like “Pepsi” or “Coca-Cola” or “Barbie.” See how stupid product names look with quotation marks? It wasn’t enough to include “DewShine” in the video; they had to include it in the article, too. And I guess if you think “DewShine” is correct, you might think that moonshine is two words. It isn’t. What is ‘Walking Dead’ character’s real name?